Director of The NewBridge Project, Charlie Gregory will be leaving the organisation to take up a new role with Create as The White House Curator. Charlie will be stepping down after 5 years as Director at the beginning of August 2018 and will take up her new role in late August 2018. 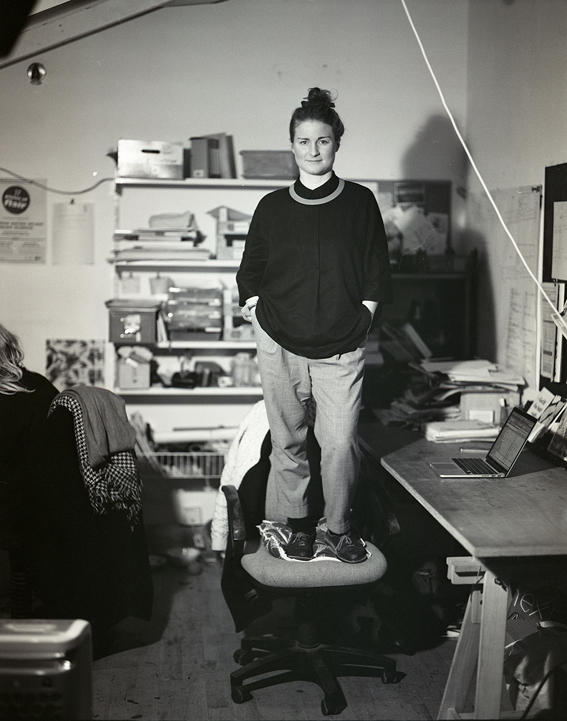 “NewBridge has been my home for 5years and has given me so many wonderful experiences, memories and friendships – it has been a difficult decision to leave such a remarkable community of artists, staff, partners & collaborators; an ambitious programme of exhibitions, commissions, community projects and artist development; as well as my home turf, the North East. During the time I’ve been part of NewBridge, I’ve seen it grow into an amazing and incredibly strong artist community and organisation: It’s move from Norham House (its base for over 7 years) into two news sites Carliol House & Gateshead High Street; achieving Arts Council National portfolio status; securing revenue funding through Newcastle Culture Investment Fund; developing a partnership with Newcastle University to deliver bespoke graduate support through The Collective Studio; gaining charitable status with a strong and supportive board of trustees; establishing many initiatives and opportunities to support artists to develop their practice and careers such as Practice makes Practice; and moving towards securing a long-term premises to house all these activities. I am excited to be moving onto a new role with Create, an organisation I greatly admire and respect. The role will allow me to pursue my passion for supporting artists to explore different models of collaborative arts practice embedded within a community context. The White House is unique in providing a space where artists and communities can experiment, think, play and ultimately create new ways art can form part of our everyday lives. I look forward to helping develop a collaborative vision and an artistic and community resource that has real impact.